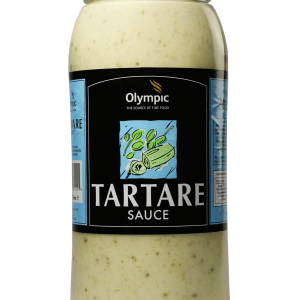 Olympic Tartare Sauce is a creamy sauce made with the finest gherkins and capers, the perfect accompaniment to fish dishes. 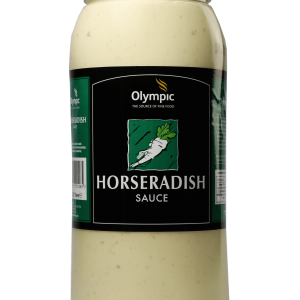 Olympic Horseradish Sauce is a creamy sauce made with the finest horseradish flakes, the perfect accompaniment to roast beef. 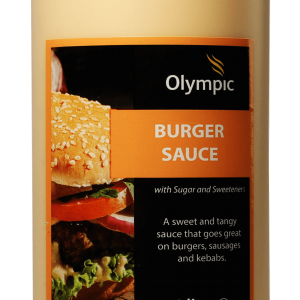 Olympic Burger Sauce is a sweet and tangy sauce that goes perfectly with burgers, sausages and kebabs. 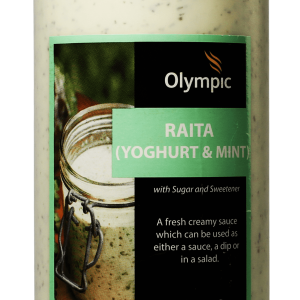 Olympic Raita (Yoghurt & Mint) is a fresh creamy sauce which can be used as either a sauce, a dip or in a salad. 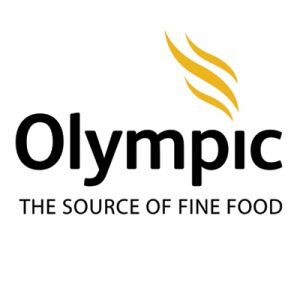 Olympic Garlic and Herb Sauce is a premium mayonnaise-based sauce flavoured with garlic and a blend of aromatic herbs.